We’ve all been there: a rough day at work sends you spiraling downward into a pint of ice cream. 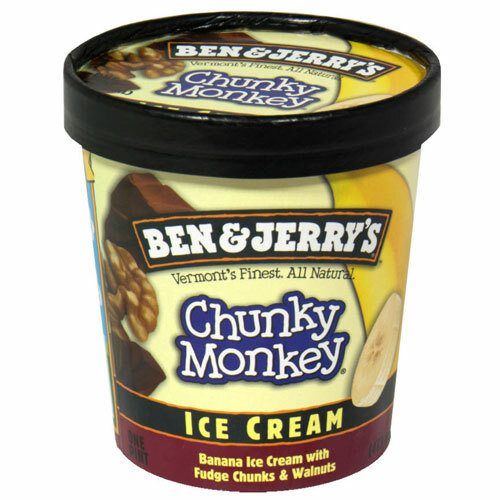 And then, thanks to the restorative powers of an icy carton of Chunky Monkey, your day magically improves. But dessert is not always a panacea—it can be your undoing as well. One armed robber learned this lesson the hard way last Saturday when he stopped mid-heist to gobble down a pint of Ben and Jerry’s behind a dumpster. Just before 8 pm Saturday, police got a call from security staff at the Safeway near 15th Ave NW and NW Market Street after they confronted a shoplifter outside the store. The suspect pulled a knife on a security guard, dropped a basket full of cookies, chips, salsa, candy, soda and butter, and then fled and then fled up 14th Avenue NW. Officers found the suspect a few blocks away, bear NW 53rd St., sitting next to a dumpster, using a lighter to scoop out the innards of a pint of Ben and Jerry’s ice cream. The 31-year-old man denied that he had robbed anyone, and sat eating his ice cream as police conferred with Safeway security. Officers booked the man into the King County Jail for robbery and booked his leftover ice cream into the dumpster.